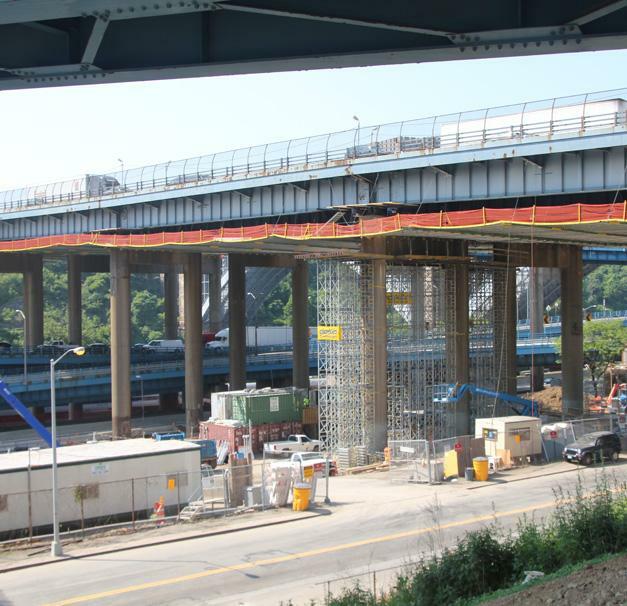 In an effort to improve safety and relieve congestion, the New York State Department of Transportation (NYSDOT) the rehabilitation of the Alexander Hamilton Bridge that included replacing the existing bridge deck with a new concrete deck, took place. Replace the existing bridge deck with a new concrete deck. Strength the steel arch span and steel support beams that make up the substructure of the bridge. A total of eight pier caps were replaced or restored on the bridge. 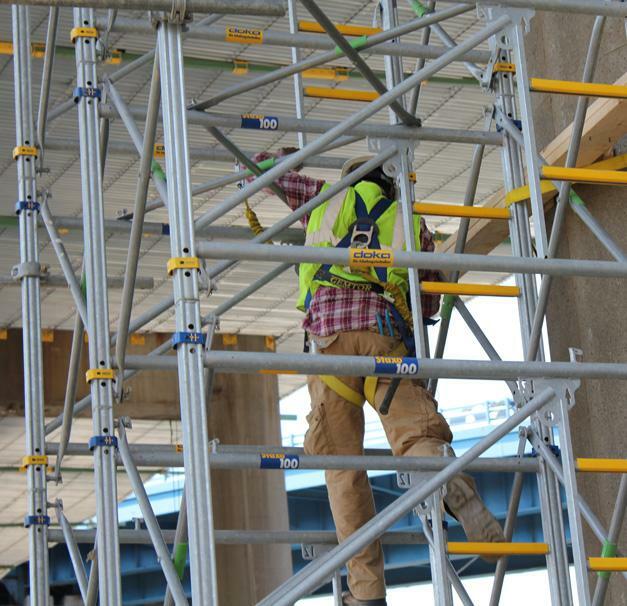 They were formed from the ground up with Staxo 100, ranging from 20 feet to 90 feet in supporting height, 100 feet to 125 feet in pier cap length, and 7.5 feet to 12.5 feet of concrete depth. On the top of the Staxo 100, Doka designed custom preassembled tables to form the soffit for the pier caps. The other five pier caps were incorporate Staxo 100 towers with a custom suspended deck solution, because of the extreme height. 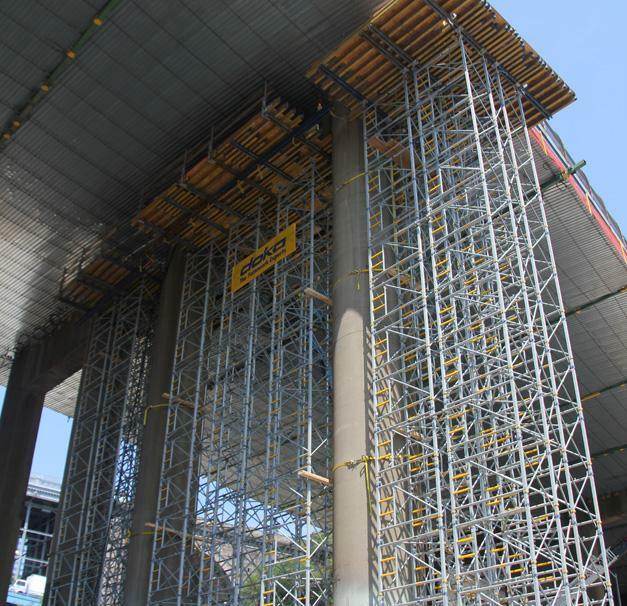 The suspended deck was supported from a steel jacking system, which relieved the load of the roadway from the columns. From this deck, smaller Staxo 100 towers were fixed to support a form system similar to the previous three caps.